"It was an nearly unanimous vote that this would not constitute a PHEIC (public health emergency of global concern) because we are moderately optimistic that this outbreak can be brought into control - not immediately, but still within a foreseeable time", panel chairman Professor Robert Steffen told a news conference. "And so I'm more concerned than I have ever been of a potential regional spread", Capobianco said, while cautioning it was a "personal" assessment. The outbreak region borders Uganda, Rwanda and South Sudan. The WHO Secretariat gave an update on the current situation and provided detail of the response to the current Ebola outbreak and preparedness activities in neighbouring countries. In recent weeks, World Health Organization has noted it is woefully short of the $148 million it says is needed to fight Ebola for the next six months. Poor security owing to the presence of several armed groups, coupled with resistance of some communities to seeking treatment, has hampered the fight to stem the spread of the disease. It had received only $74 million as of mid-March. 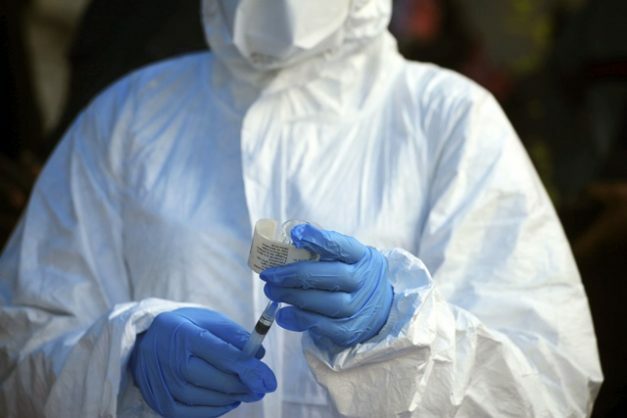 The chair of WHO's expert committee that unanimously decided the outbreak is not yet a global emergency, Robert Steffen, said experts were "moderately optimistic" the outbreak could be contained within a "foreseeable time". The Committee commended efforts of the Government, WHO and other partners in containing the outbreak "in a complex and hard setting" and advised the WHO Director-General "to continue to monitor the situation closely and reconvene the Emergency Committee as needed". "Bigger is not necessarily better", she said. Doctors Without Borders is calling for patients to be treated in existing health centers rather than Ebola-specific clinics: "It's very clear that people do not like or trust the Ebola centers and they are not coming to be treated". This indicates that health officials have lost track of where the virus is spreading. As of April 9, almost 1,200 cases of the virus have been reported in the affected provinces of North Kivu and Ituri, with 751 people dead, the World Health Organization said. It is a major designation that's been deployed against H1N1 flu in 2009, the West African Ebola epidemic and reemergence of polio in 2014 and the Zika virus in 2016. "Given the average number of cases we're seeing now, this is not going to be over for at least another six months or more", Tariq Riebl with the International Rescue Committee said Friday. "We're discovering people when it's way too late", he said, noting numerous cases were buried in secret and never reported to authorities. "Now we see that we are regaining that access and it is normal when you start regaining that access that you start seeing those cases that you have not seen when you didn't have access, and that partially explains the rise in numbers", he said.